Manganese is an often overlooked element found in soil. Due to its symbiotic relationship with iron, plants that are deficient in manganese are often misdiagnosed and the issues fail to deteriorate. This is also true with cannabis plants who need manganese as part of their growing process. 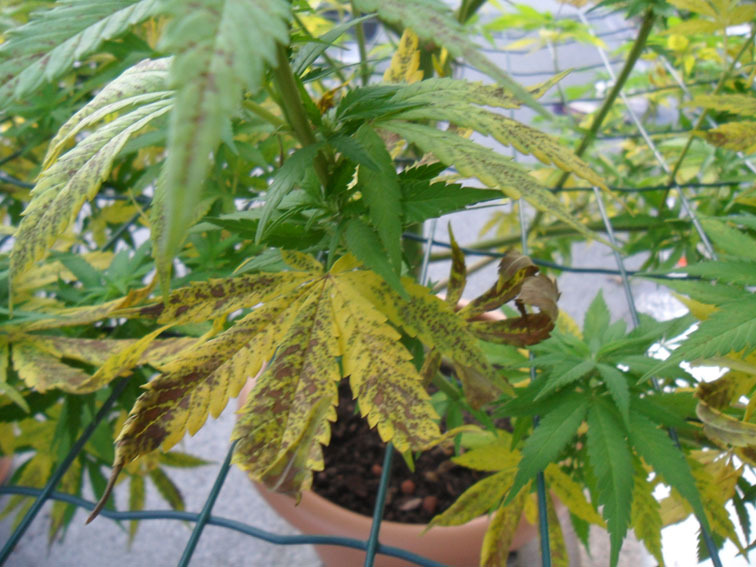 But how can you tell if your grow showing signs of manganese deficiency and how can you combat its symptoms? This simple guide should explain everything that you need to know. Much like magnesium deficiency, plants that are manganese deficient can be spotted by observing the colour of the leaves on the plant. If the leaves are turning yellow while the veins remain green then you may have an issue. If the deficiency has not been observed quickly enough, you may also see dead spots on some of your leaves. However, the key difference between diagnosing manganese deficiency compared to magnesium deficiency is the age of the affected leaves. Magnesium is a mobile element, meaning it first appears on older leaves and spreads to newer ones. However, manganese is much more static, meaning that the new leaves are the first to be affected and it will rarely transfer to older, already established leaves. The most common cause of manganese deficiency is incorrect pH levels in your soil. The best pH level for your plant to absorb manganese from the soil efficiently is around 6.0-6.5 pH. However, you must observe the plant carefully and adjust the pH levels dependent on its recovery. Usually, if sorted correctly, manganese deficiency symptoms should stop spreading within a week. However, if you are still observing its spread to other leaves, there may be very little manganese in your soil and some foliar feeding may be in order. This is a process by which liquid fertilizer is sprayed onto the leaves of your plant for absorption as opposed to the soil. It is important to note that any leaves that have been damaged significantly by manganese deficiency are extremely unlikely to improve, so focus on newer, unaffected leaves to determine whether or not any deficiencies are still occurring.